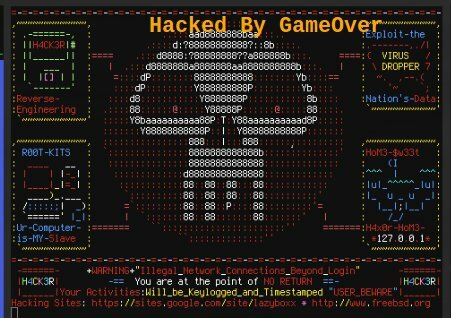 A Hacker with twitter handle "@ThisIsGame0ver" has hacked into the official website of Sri Lanka's Media Center for National Security. The Media Centre for National Security (MCNS) was established for the specific purpose of disseminating all national security and defence-related information and data to the Media and the public from one co-coordinated centre. The hack was announced in Twitter . 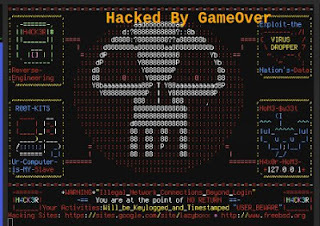 As per the mirror of the defacement page, the security breach was occurred on 14th Jan.
At the time of writing, the defacement page has been removed from the main page, visitors are being presented with a message that says "We are currently performing site maintenance. we'll be back 100% in a bit. " The hacker also leaked the compromised database. The dump contains Sensitive information including admin username, password(plain-text format), MySQL username and password. It also includes email address, username and plain-text format password of users.